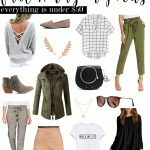 Now is the time to do your fall clothes shopping, and the Nordstrom Anniversary Sale 2016 is where to start. 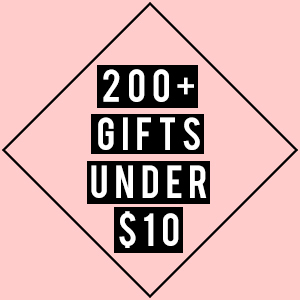 Whether you like comfy clothing styles or are a major fashion trendsetter, Nordstrom has all the must-have styles of the season at a discounted price. 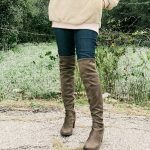 If you are a bargain shopper, there are many clothes, shoes, and accessories for fall at great prices like the Perra Cut Out Bootie for only $99.00 or the TopShop Stripe Pullover for only $24.99. With so many great deals at the Nordstrom Anniversary Sale, you can stock up for Back to School or just re-stock your fall clothes wardrobe for all of your style staples. I am a bargain hunter for clothes, but I still want it to be current style trends as I am a bit fashion conscious. 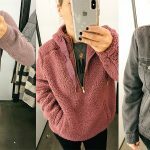 I currently have a household of 5, so there are a lot of people to buy clothes for including my husband and three kids; clothing deals are an essential. 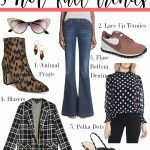 Check out these styles and get your fall clothes shopping on because these deals are going fast. In fact, every time I pop online, more items are being sold out! So, don’t delay. One of the biggest reasons why I love Nordstrom is because they have FREE shipping and returns with no minimum. So, what I like to do is purchase all the things I want, try them on at home, and ship back what I don’t want to keep. For me, this saves time, money, and the hassle of creeping through the shopping crowds. And, since I can shop online with free shipping and returns, it’s a no-brainer. 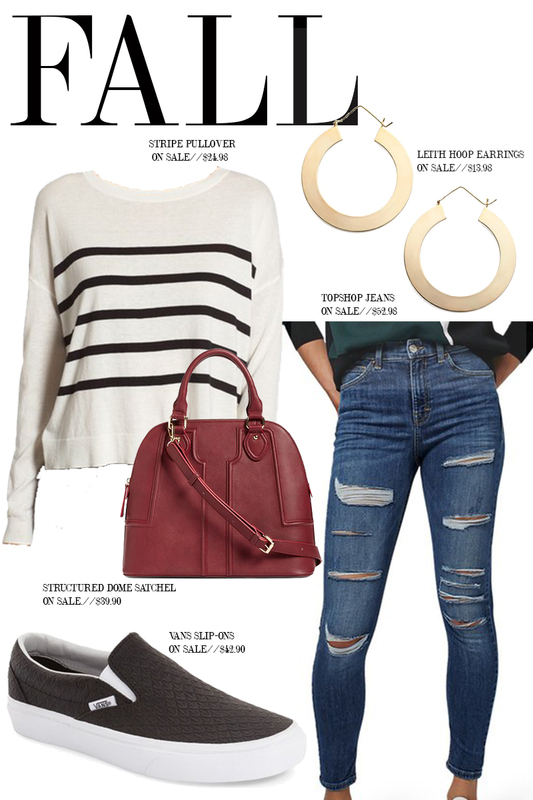 If you are looking for a comfortable fall outfit, check out these TopShop high-rise skinny jeans and VANS shoes. I have worn those Vans on repeat since I bought them. They look cute with jeans, with dresses. I am telling you; they are everything. Also, that bag, yes that structured dome satchel is only $39.90 at the Nordstrom Anniversary Sale. Hello, fall handbag. VANS Slip-Ons (Out of stock…bummer..knew they would go fast!) Here are some other VANS at Nordstrom. I have said it a million times that I am a gigantic fan of chips and salsa. 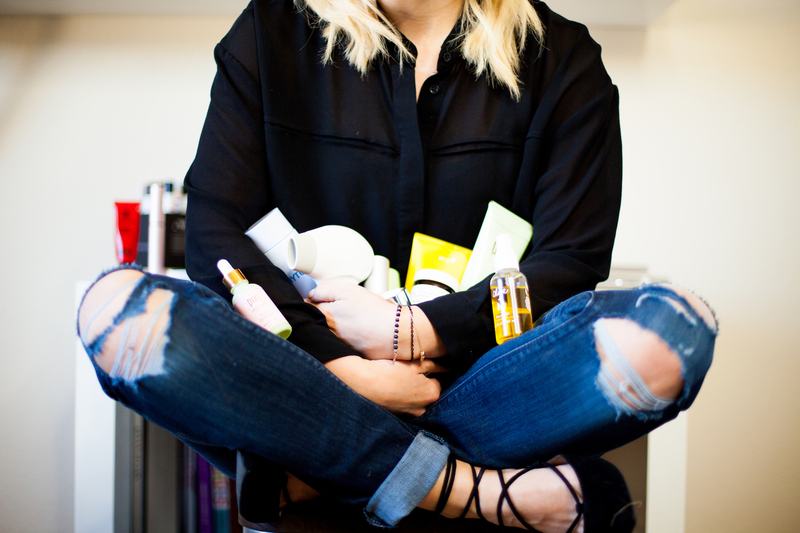 While you might be wondering what that has to do with fall clothes shopping, it does. You see, that woven shift dress hides everything, and I need that to be the case when I bloat out from eating my favorites that I will continue to eat when fall weather hits. Also, I bought these Peera Cut Out Booties at the Nordstrom Anniversary Sale 2016, and they are not only adorable but incredibly comfortable as well. 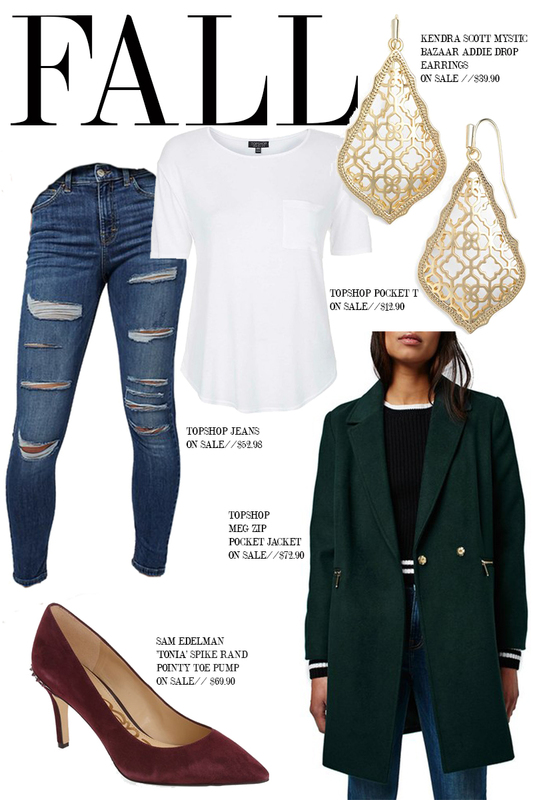 If you like to dress up for fall and yet remain comfy, try this casual chic outfit that can be dressed up or down. Pair the TopShop Meg Zip Pocket Jacket with VANS for the day and then switch to pumps for evening. I don’t like to switch entire outfits during the day if I don’t have to. So, doing a simple shoe change can alter the appearance of a fall outfit in no time. 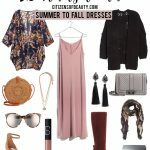 Happy fall clothes shopping at the Nordstrom Anniversary 2016 sale!